By Mary Loritz , July 18th, 2018. Barcelona-based delivery startup Glovo has raised €115 million in a Series C funding round from Idinvest and AmRest. The startup is now valued at over €300 million. 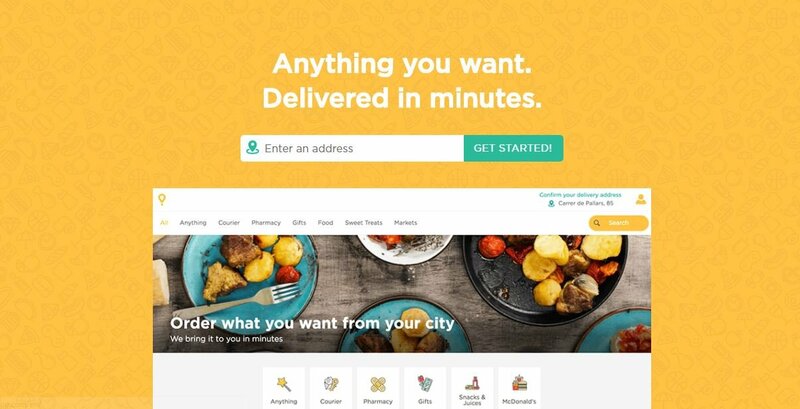 Glovo's app allows customers to order any item, which is then purchased and delivered by couriers in an hour or less. Through Glovo's geolocating system, customers can also track their deliveries or find the nearest courier to them. The startup is in the process of expanding in Latin America, Europe and Africa, and has already established itself in 61 cities and 17 countries. The company will use the new funding to consolidate its market position in the countries where it currently operates and to fuel its further expansion.